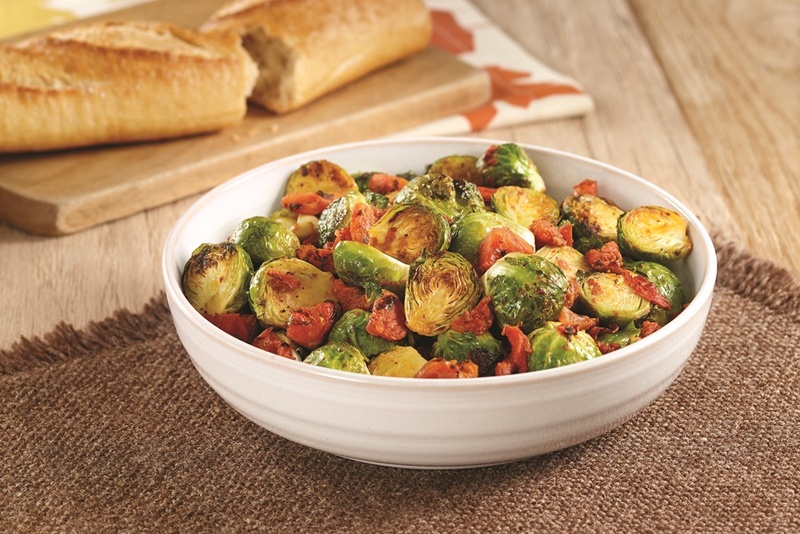 In a large bowl, toss together the Brussels sprouts, drained tomatoes, oil, garlic powder, salt and pepper. Spread the mixture in a single layer on a large shallow baking pan. Bake for 20 minutes or until the Brussels sprouts are tender and browned, stirring once halfway through.